This post was updated for accuracy in February, 2019! 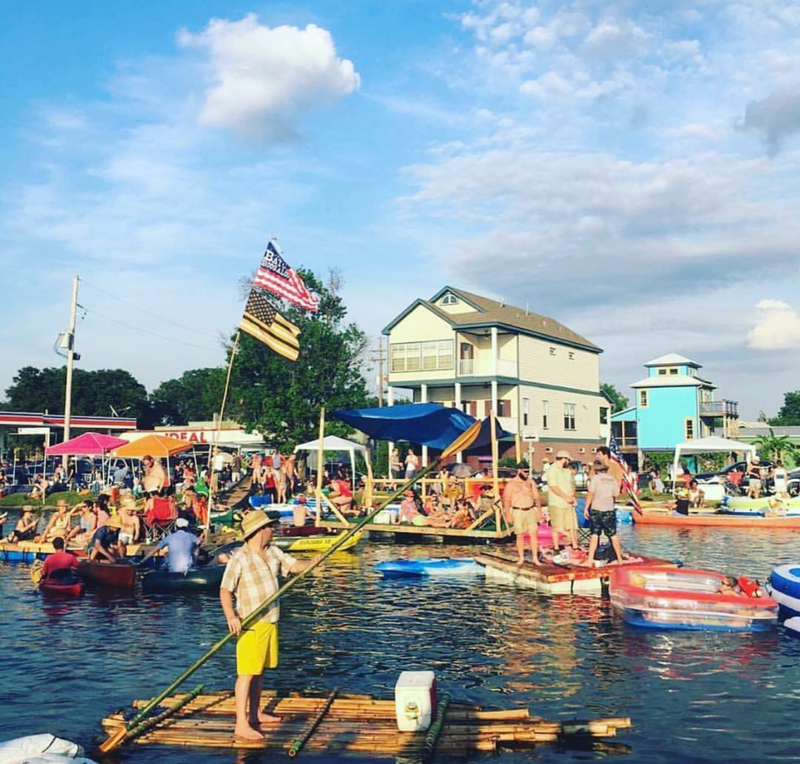 Every year in May, Mid-City Bayou Boogaloo takes over the banks of Bayou St. John for a weekend of live music, amazing food, and an escape from the Louisiana summer heat by floating on the water. Bayou Boogaloo was founded in 2006 to mark the Mid-City neighborhood's revival after Hurricane Katrina. In addition to a diverse array of musical performances, the festival features upwards of 30 food vendors serving a variety of cuisine and 60 art vendors presenting hand-crafted works. This event is free and open to the public. Music takes place across four stages, with three main stages and one kids’ stage. The 2017 lineup included alternative rockers Cracker, New Orleans mainstays Jon Cleary & The Absolute Monster Gentlemen, “Cupid Shuffle” singer Cupid, Louisiana blues master Chris Thomas King, keyboard wizard Marco Benevento and rising stars Tank & The Bangas are among the acts. To view the current lineup, visit Bayout Boogaloo’s website here. The Mid-City Bayou Boogaloo is produced by Friends of St. John (formerly called MotherShip Foundation), a New Orleans 501c3 non-profit organization dedicated to encouraging social change by improving the quality of life for Louisiana residents through the promotion of arts, culture, and recreation. 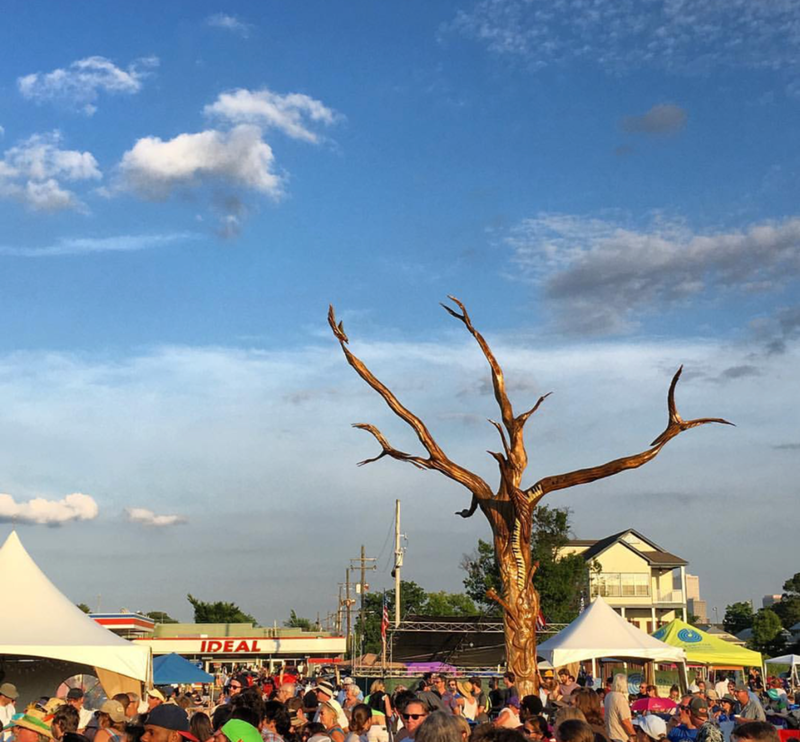 Proceeds from the festival facilitate efforts such as MotherShip Foundation's Restore the Bayou Canopy campaign. This ongoing effort to replace trees lost to hurricanes has already resulted in the planting of eight live oak trees along Bayou St. John and twelve trees in the Broadmoor neighborhood. In 2017, festival proceeds were used for MotherShip’s anti-litter campaign in Mid-City. The festival also supports community partners, including Friends of Lafitte Greenway, Upturn Arts, Morris Jeff Community School, and Faubourg St. John Neighborhood Association. If you have any questions about Mid-City Bayou Boogaloo, let us know in the comments section below!